Kendrick Lamar sweeps the Grammy’s, Rae Sremmurd will drop a triple disc, new music from Lil Jon & Joyner Lucas + album reviews from Berner & Dave East. What it dew Trillions! 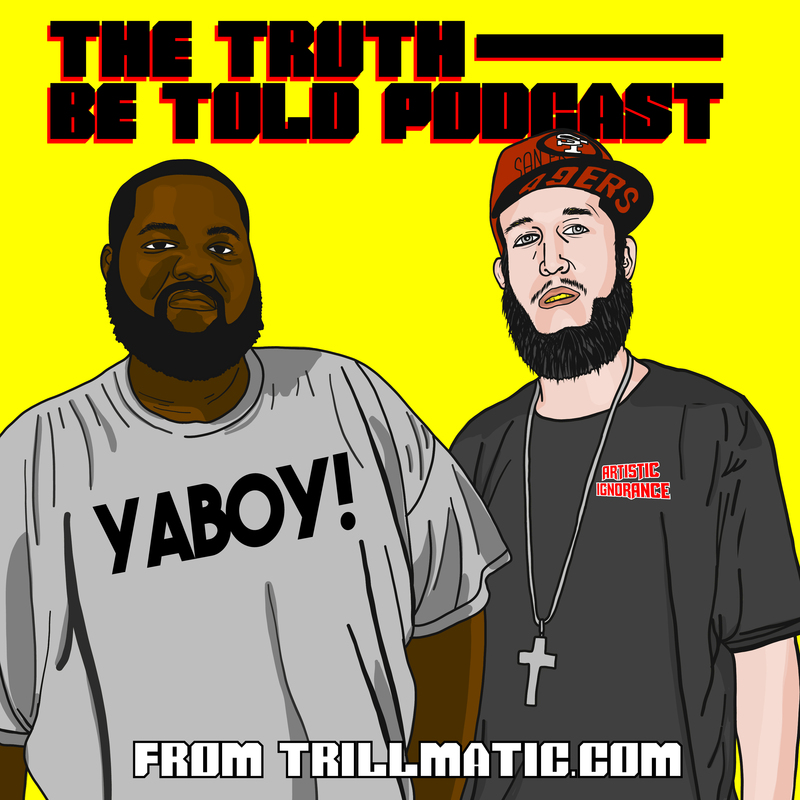 Back again with episode 102 of the Truth Be Told Podcast from Trillmatic.com hosted by Riffa & Bigg UU from Killeen. Thanks for supporting your favorite Hip Hop podcast! Be sure to leave a 5 star review! (13:08) Boom Trap: Rae Sremmurd is dropping a triple disc album in an innovative way. Rich Brian, formerly known as Rich Chigga gets ready to drop his new project. (28:38) Respect Your Elders: Kendrick Lamar sweeps the Grammy’s for all Hip Hop categories, leaving some folks believing that JAY-Z got snubbed. Also, Black Thought from The Roots is dropping a collaborative project with producer 9th Wonder. (45:37) A patron question asked us to pair old rappers and new rappers together. You’ll be surprised at some of the rappers we put together. (57:05) NEW HEAT: Lil Jon released a new track with Offset and 2 Chainz and has us wondering what Lil Jon can do in 2018. We also heard a new track from Meek Mill and Joyner Lucas, which is much better than you would think.